The Traballo’s band was founded in 2008, bringing together three traditional musicians, expert in traditional folk music. Their repertoire focuses primarily on popular music of their region, Marche, with timeless songs and dances learned directly by the elders: authentic witnesses of the tradition. Whithin this repertoire, to name a few, are the Saltarello, Paroncina, Quadriglia, Pirulì, polyphonic and work songs. The band proposes them in their traditional and/or rearranged versions, while maintaining a careful respect for traditional music. This characteristic allowed Traballo to offer a unique experience that never fails to surprise the listener. 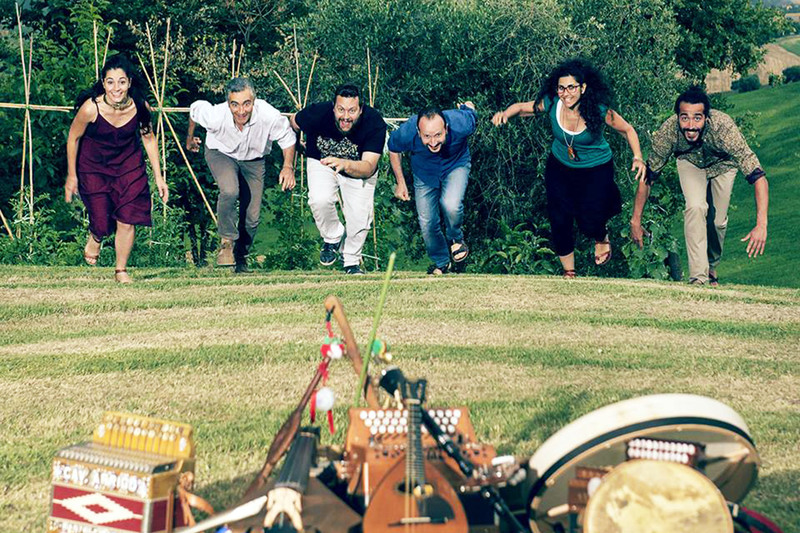 Years of experience in holding courses and performing at concerts and events along with their on-stage energy and dedicated attention to local music and culture, mark the importance of Traballo in the scene of Italian traditional music; and guarantees a delightful experience for the public.